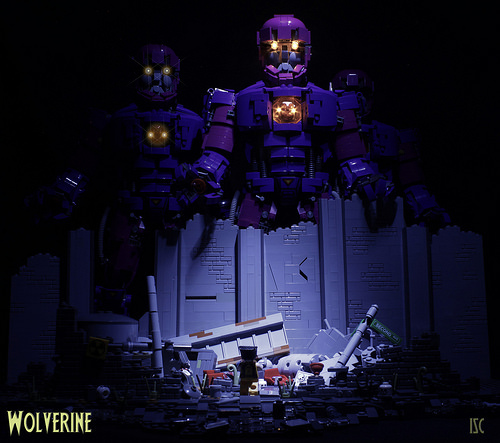 The Sentinels look so much better in the mood lighting, but I confess I didn’t even see Wolverine until after I saw the regular lighting. He’s clearly there if you know where to look for him, but even knowing he was in the shot he just kinda blends in to the background. Yeah, it might have looked better with more focused lightning. 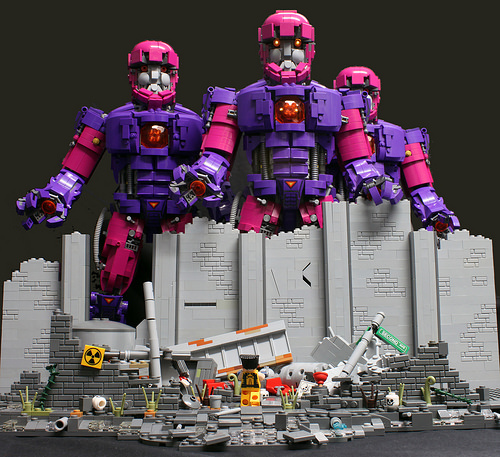 The third Sentinel looks nearly disappeared, as well.